Falling over is part of growing up and some accidents can act as an important lesson, such as scraped hands and knees. But the traumatic hospital trip; exposure to the radiation of an X-ray and the worrying 24-hour observation period of a head injury is heart breaking for all the family! Parents take great care not to let their toddlers fall but you can't keep them glued to your hip all day and accidents do happen. At least now there is an option to reduce the harshness of head injury as well as reduce the workload of many Accident & Emergency Departments. 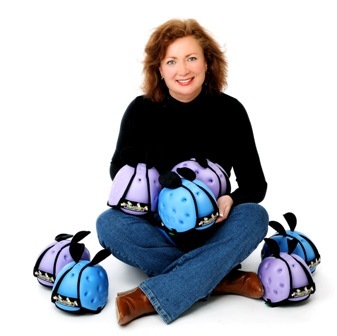 As well as being nominated for various awards for her invention, Kelly is also the author of a children's book titled Jan Otters' Closet. Kelly sought inspiration from her daughter Ashleigh to get ideas to write a book in the absence of her daughter not being able to find anything suitable in her local book stores. It seemed that all adventure stories were written with boys in mind and Ashleigh wanted a story with the usual girly stuff in it but, to also have the gritty exhilaration of danger and excitement that only boy's books seem to have. The two brought their imagination together to develop some of the most exciting stories for children to be released in the United Kingdom. 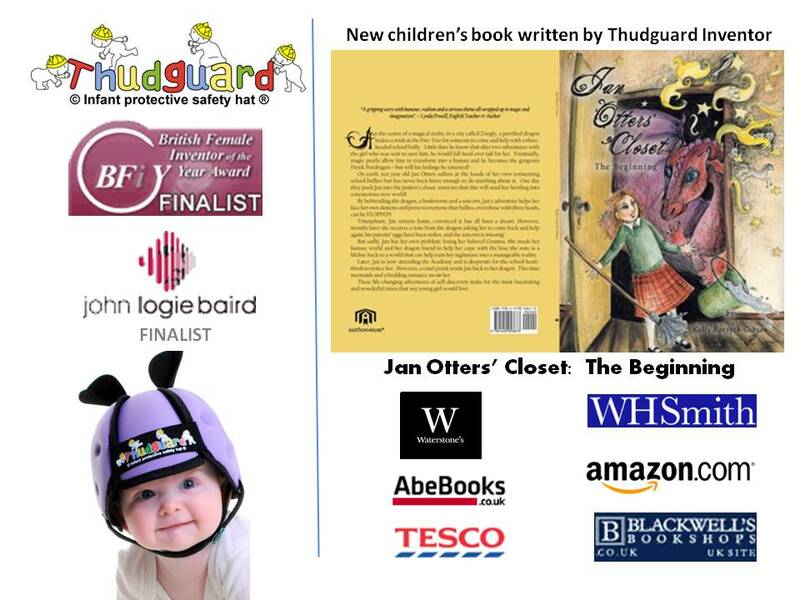 While developing her own personal dream (the Thudguard baby safety hat), over ten years, decided that hard work, although very rewarding, could never take the place of the quality time she shared with her daughter. Kelly hopes that this book will encourage her daughter to follow in her footsteps and break through all boundaries of the impossible, hoping to instil in Ashleigh the tenacity to start a project and make it the best she can. Three years of hard work has resulted in something that she is proud to present to the world, leaving her mark for her children and grandchildren to read and enjoy, and proving that day dreams come and go but that great imagination deserves to be immortalized in print. The subjects addressed in the Jan Otters' Closet adventures are lessons for us all and are met with fun and the sensitivity that these life-changing dramas deserve. Kelly and Ashleigh say, "Writing together has been one of the best things to ever happen to us - and it's only the beginning!"